Franklin Park Coalition – Work. Play. Engage. 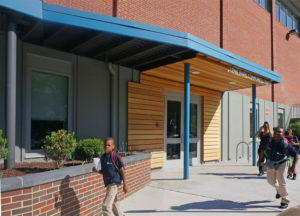 The Franklin Park Coalition (FPC) is a non-profit organization dedicated to involving the community to work, play, & engage in Franklin Park, Boston’s largest green space. Designed by renowned landscape architect Frederick Law Olmsted in the late 1800s, Franklin Park serves as an urban oasis to the surrounding neighborhoods and the City of Boston. 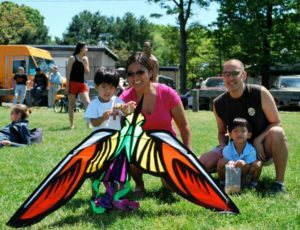 Kite & Bike Festival is on May 18, 2019 & Elma Lewis Playhouse in the Park is set for 7 dates in July & August. Sponsorship opportunities for these events are available now! Our non-profit offices have moved to a wonderful partnership and location with Lena Park Community Development Corporation on American Legion Highway. We are even closer to the park! Read more about the new office location. The Franklin Park Coalition plays a big part in conservation and stewardship of the park. This work is carried out primarily through our volunteer programs. FPC volunteers come the local community, Northeastern University and other educational institutions, and businesses/corporations. We also have hosted AmeriCorps members, and organized a summer youth conservation team. There are lots of opportunities to play in the park! The FPC organizes the annual Kite & Bike Festival, the Elma Lewis Playhouse concert series, and the Thanksgiving Day Turkey Trot. We also host the Winter Festival and a range of health & fitness activities throughout the summer. Stay up to date on upcoming events by checking out our calendar and joining our mailing list! Although most people know the FPC because of our events and park stewardship, advocacy is really at the core of what we do. FPC advocacy has deep roots; the organization was founded in 1974 by community members concerned about mismanagement in the park. They made the park the urban oasis that it was meant to be. The fact that Franklin Park is such a beautiful, safe, and well-used space is due in no small part to the advocacy of the FPC and our membership.